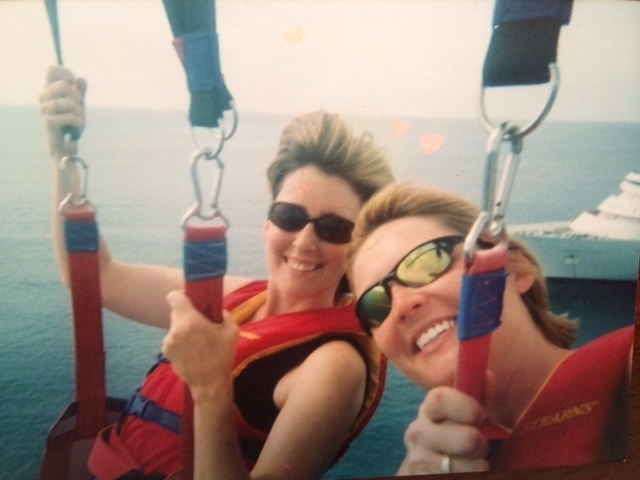 There we were–two grown women–strapped into harnesses, attached to the same monster-kite, and tethered to a speedboat. My brain is firing on all cylinders – I. Am. Going. To. Die. 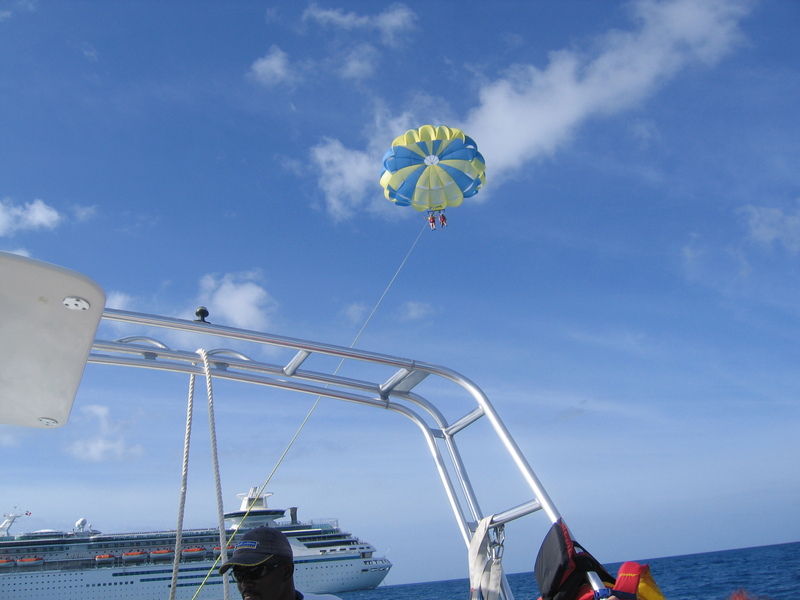 My sister and I were enjoying a get-away-from-it-all mini-vacation, and Charlene had talked me into going parasailing. As we sat on the back of the boat, waiting to be yanked off into our forever-home-in-Glory, Charlene and I had dramatically different mindsets. She had already begun to hoot and holler, anticipating the adrenaline rush of soaring miles in the air. I was fighting nausea and reviewing all the things I should have said to my husband and children. I thought of everything that could go wrong. I didn’t trust the hardware clipping us to the overgrown kite. I didn’t trust the harness, or the boat. I didn’t trust the driver of the boat. I didn’t trust the sharks that I assumed were circling beneath us. And I especially had no confidence in my free-spirited sister who was rushing me head-long into an untimely death. It all came down to trust. My adventure-loving sibling didn’t waste time worrying about the people or equipment involved. Because she trusted that all was in order, she was free to live the experience. In our walk with Christ, it can happen in the same way. We can trust His heart, knowing that He works all for our good (the whole Romans 8:28 thing), or we can obsess and worry ourselves into simply surviving. What if God isn’t watching this time? What if this is actually out of His control? What can I do to fix this if He doesn’t come through on my timetable? What if, what if, what if…? Jesus didn’t die on a cross, justifying me before a Holy God, just so I could worry myself through this life. His sacrifice set me free to live the experience. I can trust Him, because He is Faithful. I may be weak and inconsistent, but He is Faithful. I may be terrified of the surrounding storms and circumstances, but HE is Faithful and True. He invites me to keep my eyes on Him, not the surrounding chaos. …now that’s an adrenaline rush! Father, thank you for the peace You provide, regardless of circumstances. When I’m tempted to be distracted by the chaos around me, help me to keep my eyes and heart focused on You. 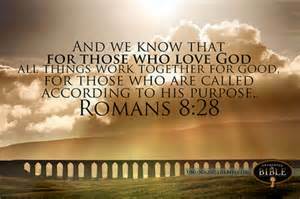 Help me to remember that because I belong to You, You are working all things for my good.